Last week I promised I would feature additional middle grade books by writer friends, and I’m so pleased to host Gail Shepherd here on my blog for MMGM. Gail and I met nine years ago through a critique partner match-up on a blog and swapped chapters on middle grade novels we were working on at the time. I can’t believe it was so long ago! As soon as I read THE TRUE HISTORY OF LYNDIE B. HAWKINS, I reached out to Gail to ask her for an interview, and she graciously answered my questions and has also offered up a signed ARC and some swag for one lucky winner. Details are at the bottom. Lyndie B. Hawkins loves history, research, and getting to the truth no matter what. But when it comes to her family, her knowledge is full of holes. Like, what happened to her father in the Vietnam War? Where does he disappear to for days? And why exactly did they have to move in with her grandparents? Determined to mold recalcitrant Lyndie into a nice Southern girl even if it kills her, Grandma Lady starts with lesson number one: Family=Loyalty=keeping quiet about family secrets. Especially when it comes to Lyndie’s daddy. Then DB, a boy from the local juvenile detention center, comes to stay with Lyndie’s best friend, Dawn. He’s as friendly and open as a puppy. There to shape up his act, his optimism is infectious. But it goes against everything Grandma Lady insists upon. And here are Gail’s answers to five questions about the book. 1. I loved how seamlessly you wove history into the story–through a school project, research about D.B., a visit to the history museum, etc. How did you decide which historical accounts to include and the best ways to do so? There were two main thematic threads I wanted to tease out in Lyndie B’s story: The first was the idea of how countries and communities become divided by politics or ideology—I mean, obviously this is still a contemporary question. So there’s a natural fit with the Vietnam War and the American Civil War, where a country is at war with itself. And then the second thematic question was about how families get fractured, or heal themselves from fractures. So the research on D.B.’s family history fit well with that theme. Those two themes intertwine and are related—in both the Vietnamese war and the American Civil War, particularly in Tennessee, families often split—some sided with the Confederacy and others with the Union. The idea of families split apart runs through the book, of course. D.B. was abandoned by his mom. He’s taken away from the foster family he loves. He’s lost touch with his uncle. And Lyndie’s family is coming apart at the seams in quite a different way—her father and mother are at odds, Lyndie is not getting along with her grandma. But also, other people in the community had fathers or brothers who were lost in the Vietnam War, like Lyndie’s nemesis, Pee Wee, and the homeless woman, Bernadette. Really, the entire community (a kind of family writ large) has been fractured by the war. So the research fell naturally along those thematic lines. It’s a particularly interesting question to me, how we heal or bridge our differences in a family or community so that we can thrive. 2. The friendship storyline is so believable, particularly for Lyndie’s age, how she allows her grandmother’s attitude to influence her insecurities about her best friend. What made you decide to tap into that aspect of MG friendship? Little kids bond without a lot of baggage. When you’re six or seven or eight, you just tend to like people unless they rub you the wrong way or they’re mean to you. But at eleven or twelve, like Lyndie, you’re just beginning to lose your innocence around friendship. You start to be influenced by social pressures. Lots of “best” friendships split up at this age (mine certainly did)—often because we’re aware of how others are seeing us. Lyndie is coming of age, and part of her job in growing up is to figure out how much truth there is in what she’s being told—she’s struggling with it. She’s struggling with her own insecurities, too. She doesn’t see herself as a “good person” in the way her best friend Dawn is. She doesn’t always know what’s right. So she’s subject to a lot of self-doubt that can interfere with the purity of her friendships. 3. The family dynamics are also very believable and heart-wrenching, from private, organized Lady and gentle Grandpa to tormented Dad and broken-hearted Mom. How did you determine what characteristics to give each of these family members to make this family what it is? Lyndie’s grandma, Lady, was always very real to me. She’s the one character who really didn’t change much in revision. Maybe because I come from a Southern family. Some of my relatives are very iron-willed, judgmental, upright, dignified, exacting, in this way, so she came to me naturally. As for Lady’s husband, Grandpa, I wanted him to be the one person that Lady could feel safe with, taken care of. He’s a hint that even Lady has vulnerabilities. I made Lyndie’s father and mother political opposites (Daddy a war veteran with PTSD, Ma a former hippie peace protester) so we could see that it is possible to love across a political divide, even though it’s not always easy. 4. The story’s setting a decade after the Vietnam War brings to light the issues faced by soldiers who fought in the war and families who lost soldiers to the war—both immediately and due to trauma afterward. What made you decide to set a story at this time, and how did you research it? I grew up with the Vietnam War in the background, running on the TV, in every newspaper. Families I knew had brothers and fathers going away. That war has shaped my world view in a very deep way. I became an adult in the 1980s, and my memory of the time is very sharp. So those two things together influenced the setting and time period. I did a ton of research—every book I could get my hands on—The Things They Carried, Dispatches, A Bright Shining Lie, and many others, plus books on PTSD and trauma—The Evil Hours was the one that really shook me. Not much of the research made its way directly into the book. But the background was necessary so I could understand Lyndie’s daddy. 5. I loved the feeling of hope at the end, for Lyndie’s family and friendships. What do you hope your readers leave the book feeling? Oh, my. Well, that the truth is worth pursuing, even if it feels hard. I do entirely believe that. That families and friendships can be resilient, they can recover from great stresses. That our country and our communities, like the flag on the gate at Lyndie’s grandma’s house, are worth caring for, worth fighting for. But there are lots of ways to care and lots of ways to fight—you don’t have to physically go to war, necessarily. History has taught us what a dead end that can be. Caring for your country can mean being honest about its history. Caring for your family can mean being honest with each other. I want readers to feel that we can get better. And that it’s worth trying. As I mentioned, Gail has offered a signed ARC, plus swag (book plates, bookmarks, pins), for one lucky winner. To enter, leave a comment here or click on the Rafflecopter for extra entries. Get ready, friends, because I think I might be on a bit of a middle grade spree coming up. Two writer friends just had middle grade books come out, so I definitely plan to feature their books in the near future, but I also happened to pick up RUBY & OLIVIA by Rachel Hawkins, and I absolutely adored it. I’ve featured several of Ms. Hawkins’ young adult books here on the blog, but this is the first middle grade book of hers I’ve read. It’s equally delightful. Here’s the cover and description. Ruby is bold and opinionated, while Olivia has always been respectful and well behaved. But Olivia’s good-girl image is tarnished when she takes the fall for her twin sister’s misdeed. And now Olivia is stuck with Ruby all summer—at a community service day camp for troublemakers. To kick off the spirit of service, the campers are tasked with cataloging the contents of Live Oaks, a historic mansion in their town. Sorting through objects in an old house sounds boring, and working together is the last thing the girls want to do, but the stuff is actually kind of cool. There’s everything from mink stoles to golf clubs to antique dolls . . . and . . . wait . . . is that doll watching them? It isn’t long until little tricks—like mysterious music playing, doors slamming, and shadows rising—start to spook the girls. They’d like to think the other campers are pranking them, but they soon realize that this empty mansion might not be uninhabited after all. To solve the mystery at Live Oaks, Ruby and Olivia will have to put their old grudges aside and figure out how to be a team. Here are the five things I loved most. 1. The friendship – These two girls are so different, and their path to friendship is further complicated by the fact that they have history–Ruby used to be close friends with Olivia’s twin sister, Emma. This friendship is messy and prickly and the girls both get hurt along the way, but it’s honest and real. It’s very well done. 2. The families – The dynamics in both family relationships are excellent and unique. Ruby is dealing with the loss of her grandmother and is very close to her mom, while Olivia has a sticky relationship with her twin after taking the fall for something she perhaps shouldn’t have, leaving her alone with her parents for the summer for the first time ever. 3. The humor – Humor is a staple of Rachel Hawkins’ books, and this one is no exception. Ruby is the main source in this case, as humor is her default, although Olivia steps up sometimes too, once she feels comfortable with Ruby. 4. The mystery – A spooky house with creepy dolls, taxidermied animals, and doors that randomly close? Yes, please! I loved how the girls decided to investigate. 5. The resolution – I really enjoyed the final resolution to the mystery. It wasn’t one of those stories where you could figure it out entirely on your own. There were hints where it was headed, but you had to wait until the end with the characters to find out what was truly going on, and it was a great payoff. I will definitely be looking for other middle grade books from Rachel Hawkins. I know she has one other. If you’ve read RUBY & OLIVIA, what did you think? I love entering giveaways, and I love it even more when I win–especially when the book shows up in the mail and I didn’t know I’d won. Best surprise ever! That’s what happened with THE DECEIVERS by Kristen Simmons, and it arrived with a really cool swag pack (pictured below). I started reading this book on the last day of our cruise and had it almost finished by the time we got off the plane home. It’s a super fast-paced read. Well, let me give you the description first, and then I’ll get on to the review :). 1. The premise – I’m always a sucker for secret schools where kids are developing special skills, even if they’re conning people. What’s interesting about this one is that Brynn has to consistently confront her own sense of right and wrong–which isn’t so clearly defined to start with–and decide what her limits are. 3. The twists – They just kept coming! I loved how layered this book was. It almost felt like the author had started at the end and layered all the clues on top of each other toward the front. That’s how well all the pieces fit together. It’s very well done. 4. The romance – The initial attraction, the uncertainty, the ex still somewhat in the picture, the complication of having other people you’re conning thrown into the mix–quite a lot to add into a teen romance. And this one gets a bit steamy. 5. The ending – It’s the perfect ending to start off a series. I wanted more but didn’t feel like I was left on a total cliffhanger. I will definitely be picking up the next book when it comes out. If anyone out there reading this has taken a liking to that swag pack, let me know! I’m going to keep the book, but if you’d like the patch or Vale Hall letter/syllabus, I’d be happy to mail it to someone. Just send me a note in the comments or email me. First person to ask gets it, but please North America. Hello, friends! I have returned from vacation, where I spent many hours reading, and once again I find I’ve built up a few mini-reviews on Instagram and even one on Twitter, so I’m going to compile them here. Before vacation, I was in a total daze from a combination of my first round of edits and serving as the cookie mom for my daughter’s Girl Scout troop. I’m actually planning a post about what happens after the book deal for later this week, but on to the mini-reviews! Despite being far from eighteenth century France on the beach in Cozumel—or the Belize countryside, or my cabin in the middle of the Caribbean Sea—I felt completely entrenched in the setting of ENCHANTÉE thanks to the beautiful writing of Gita Trelease (at one point my kids were begging me to play Spades, and I was like, “No, there’s a duel happening!”). I thoroughly enjoyed how magic was mixed into the history of the French Revolution, plus there’s a lovely romance thrown in, along with the main character making increasingly terrible choices. The ending was quite satisfying as well. Highly recommend! Somehow I read all of THE DATE TO SAVE by Stephanie Kate Strohm without realizing its connection to IT’S NOT ME, IT’S YOU, despite the fact the latter was one of my favorite reads in 2016. Let’s blame it on the 189 books I read in between—although it made soo much sense when I read the acknowledgments why certain aspects of the book seemed familiar. Like the interview format and variety of voices and the humor. Plus this one included a fun mystery. I recommend you read the two together, which is what I’ll do when I come back to them again in the future. And isn’t that the best sort of recommendation—that you want to read a book again? I started reading LEGENDARY over Christmas break and actually finished it on Christmas evening, as the kids were all running around the house. As I expected, I am now on tenterhooks awaiting FINALE. LEGENDARY included all of the gorgeous writing and page-turning twists of CARAVAL (one of my favorite reads of 2017) but had a different sort of tone coming from the viewpoint of Tella instead of Scarlett. As a result, the romance was a bit more steamy, but it fit Tella’s character completely, and I’m quite curious to discover how the romances of both girls will conclude in the final installment. Not to mention all the other threads left hanging … Is it May yet?? I thoroughly enjoyed SEALED WITH A SECRET by Lisa Schroeder. A companion to MY SECRET GUIDE TO PARIS, which I reviewed in 2017, this book follows Phoebe through London as she tries to fulfill the steps of a magic spell she finds in an antique makeup compact. It’s full of friendship, sisterly struggles, other family dynamics, and London sights. I’ll be holding on to this one for my daughter to read in a year or two! Okay, that’s it for now, but I may have a full review next Monday. We’ll see how the rest of the book I’m reading shapes up :). Happy reading, everyone! I’ve been on quite the reading/review spree lately! Honestly, though, it feels fantastic, because for a while I felt like I had read quite a few books that I liked but didn’t wholeheartedly love and want to review. 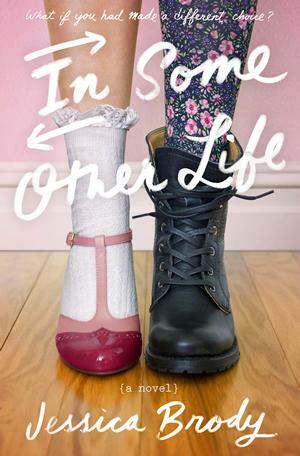 Anyway, the cover of IN SOME OTHER LIFE by Jessica Brody first caught my attention, but I’ve also read other books by the author and so knew I would be in for a good story, especially once I read the description. Here goes. Three years ago, Kennedy Rhodes secretly made the most important decision of her life. She declined her acceptance to the prestigious Windsor Academy to attend the local public school with her long-time crush, who had finally asked her out. It seems it was the right choice—she and Austin are still together, and Kennedy is now the editor-in-chief of the school’s award-winning newspaper. But then Kennedy’s world is shattered when she walks in on Austin kissing her best friend and she wonders if maybe her life would have been better if she’d made the other choice. As fate would have it, she’s about to find out . . . The very next day, Kennedy hits her head and mysteriously awakes as a student of the Windsor Academy. And not just any student: Kennedy is top of her class, she’s popular, she has the coolest best friend around, and she’s practically a shoe-in for Columbia University. But as she navigates her new world, she starts to question if this alternate version of herself is really as happy as everyone seems to believe. Or is it possible this Kennedy is harboring secrets and regrets of her own? 1. The premise – What if you could see how your life would look if you chose differently? Everyone has something in their life that they wish they’d done differently–because no one makes perfect choices all the time. But the trick is: would you really be better off? It’s such an interesting question. I loved watching it play out. 2. Frankie – I love Kennedy’s little brother. He’s the perfect constant in both worlds. It’s adorable how he keeps asking her questions to try and figure out how he’s different in the other reality, when what neither of them realizes is that she needs him to be the same. 3. Kennedy’s dad – I also love Kennedy’s dad and the role he plays, particularly in the original version of her life, but the contrast in the second life is an important part of her character growth. I just appreciate it when parents are portrayed in a positive light, and Kennedy’s dad is a really great character. 4. The newspaper – Kennedy’s devotion to her newspaper, The Southwest Star, is admirable on a couple of levels. One, it’s something she’s super-passionate about. And two, it shows her determination and dedication to succeed. These qualities manifest in both realities but result in different outcomes. 5. The ending – I have to admit I wasn’t completely satisfied with one aspect of the ending on the relationship side, but overall I really liked how the ending resolved from the point of Kennedy growing as a person and figuring out where she’d made mistakes in both realities so she could be stronger where she ended up. Can you choose a different life? Well, I’m not going to tell you the answer to that. But you can definitely choose to be a better person. Is there some choice in your life you wish you could see the other option play out? There’s a particular post-graduate scholarship I went for that I feel like I tried the wrong route. I don’t regret it because if I’d gone the other route and gotten it, I might not have moved back to Missouri and met my husband. But I guess I’ll never know. That could have been my IN SOME OTHER LIFE! 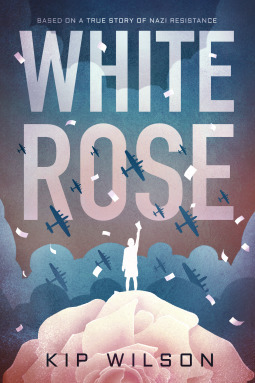 Friends, I am so excited because today I get to share a book with you that I have a close personal connection to–WHITE ROSE by Kip Wilson. Kip and I have been critique partners since 2012, and so I’ve walked with her through this journey to her debut book. I couldn’t be more excited to see WHITE ROSE hit shelves next month (April 2), and I will be giving away a pre-order to one lucky reader. From the moment Kip first told me about WHITE ROSE when we were sitting in a hotel room at NESCBWI in 2016, I was immediately gripped by the story. It’s compelling, heartbreaking, and moving. I could keep adding more adjectives, but instead, I’ll carry on to the description, followed by the interview, and let Kip tell you more about the book. Disillusioned by the propaganda of Nazi Germany, Sophie Scholl, her brother, and his fellow soldiers formed the White Rose, a group that wrote and distributed anonymous letters criticizing the Nazi regime and calling for action from their fellow German citizens. The following year, Sophie and her brother were arrested for treason and interrogated for information about their collaborators. This debut novel recounts the lives of Sophie and her friends and highlights their brave stand against fascism in Nazi Germany. 1. This story is so powerful, and while you give an explanation in your author’s note within the actual book, could you share here why you felt compelled to tell Sophie’s story? Back when I first learned about Sophie Scholl in high school German class, I was so inspired by her courage. A girl not much older than I was standing up to the Nazis? I was all over it. After reading everything I could about the White Rose over the years, I was further driven by a curiosity to really get to know who this girl really was, so I read more and more, went to Munich and Ulm on more than one occasion, and became frankly obsessed with the details of her life. She’s of course very well known in Germany, but here many people in the U.S. haven’t heard of her, and I’m convinced she’ll be a great inspiration to others as well, especially teenagers. 2. While WHITE ROSE is classified as historical fiction, it’s based on actual events and people. How did you balance staying as true as possible to Sophie and the other characters while adding voice and details to the story? This was definitely the hardest part! In my original draft in verse, I was determined to stick as close to all the facts as possible, but one astute beta reader (the oh-so-wise Joy McCullough) noted that this was hindering me from getting at the heart of the story. Only after her critique was I able to let my firm grip on the facts relax a tiny bit and experiment with imagining what Sophie might have thought or felt in specific situations. The good thing is that because I’d already done so much research, I discovered I actually knew her well enough to be able to make this leap. This is what really brought me—and hopefully readers of the book—closer to Sophie. That having been said, I was quite obsessive about the facts, and maintained a spreadsheet that lists each poem, the source or sources that informed it, and did multiple rounds of cross-checking. I did have to make some decisions without knowing certain facts (things that only Sophie herself would have known), and I made those based on what I had learned about her as a person and what I knew about the historical setting. Well, back in 2005, I wrote a completely different manuscript about the White Rose that was nonfiction, but it wasn’t working, and I ended up setting it aside for ten whole years. It was always there bubbling in the back of my mind though, so when a couple of verse novelists happened to mention to me in a chat that tragic, emotional subjects are often well-suited to verse, it was like a billion light bulbs going off in my head. Once I began writing WHITE ROSE in verse, I couldn’t believe I’d never tried it before. I have to admit, I’d always struggled to write in prose, but writing in verse was the first time that writing felt completely natural, so I knew I was on to something. 4. I love how the story alternates between timelines. It’s so seamless and provides a perfect forward momentum for the story. How did you determine where each scene would go? Thank you! Since you were one of the few people who saw the first draft, you probably remember that I initially drafted the story completely in reverse, starting at the end and making my way to the beginning. Unfortunately, this didn’t work—it was too confusing to readers. But I didn’t feel like a straightforward linear timeline would do the story justice either, and when one of my critique partners (the fabulous and brilliant Beth Smith) suggested two timelines, I began experimenting with ways I could make it work. As far as where to place each individual scene, I really enjoyed figuring out this puzzle. I am a huge fan of index cards. I use physical ones, and move them around a board until it feels like the right order, but I’ve also used the Scrivener cork board in the past for the same thing. Either way, finding the right order was actually a lot of fun. 5. I appreciated how real the protagonists are. They aren’t just heroes charging to change the world automatically. They stumble and don’t always make perfect choices right away—I’m sure because they are based on real people. Was that an important consideration for you as you were writing? This was actually one of my most important considerations. The thing is that Sophie and her brother and their friends were absolutely real people, who made mistakes and weren’t perfect. They were members of the Hitler Youth! And their initial motivations for resisting weren’t all that altruistic, either. They weren’t initially as concerned for Jewish people and others being persecuted by the Nazis as for themselves and what this war meant for them and their friends. However, what makes their story so compelling is that they’re proof that it’s never too late to change, and it’s never too late to do the right thing. After word began to leak out about the Holocaust and other Nazi crimes, Sophie and the others realized that their government was a criminal one and that the core of their fight wasn’t an intellectual one, but a moral one. In the end, their courage speaks for itself. They certainly knew what their consequences for their actions would be, and yet they did it anyway. So even if they weren’t your typical heroes, they became heroes to me at least in part due to the rocky path they took to get there. If you can’t tell, I absolutely adore this book, and I urge you all to go out and buy it yourselves! Or ask your library to order it. However, I will give away one copy (a pre-order) here on the blog. North America only, please. Leave a comment below or click on the Rafflecopter for additional entries. Open until next Monday, March 11. Whether you win the giveaway or not, definitely add WHITE ROSE to your TBR list! 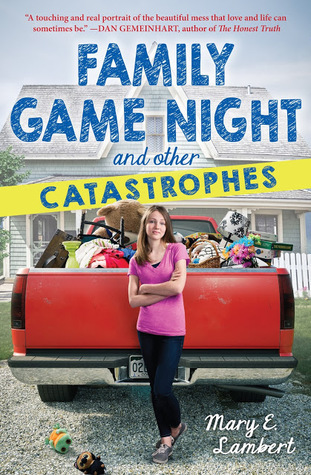 I first read something about FAMILY GAME NIGHT AND OTHER CATASTROPHES by Mary E. Lambert a couple of years ago, but it took me a while to get to it. The title initially caught my attention because I thought it would be about a family playing games together. While I do totally understand the title after reading the book, I’ll just clue you in that family game night’s a very small part of the book, so don’t expect rousing rounds of Monopoly and Catan (or whatever games your family plays). As for the catastrophes … those are what kept me turning pages. Here’s the description. Annabelle has a secret . . . a secret so big she won’t allow friends within five miles of her home. Her mom collects things. Their house is overflowing with stuff. It gives Annabelle’s sister nightmares, her brother spends as much time as he can at friends’ houses, and her dad buries himself in his work. So when a stack of newspapers falls on Annabelle’s sister, it sparks a catastrophic fight between their parents–one that might tear them all apart–and Annabelle starts to think that things at home finally need to change. Is it possible for her to clean up the family’s mess? Or are they really, truly broken? 1. The premise – I can’t say I’ve read any other books about hoarding. Seeing how the various members of Annabelle’s family dealt with her mom’s hoarding–from avoidance to excessive cheer to obsessive cleanliness–felt very real and at times heartbreaking. Throughout the story, I was very invested in the characters and how they interacted with Annabelle’s mom and each other as they tried to figure out how to make changes. 2. The friendships – At the beginning of the story, Annabelle is so afraid of how her friends will react to her house that she shuts them out. As the book progresses, she gradually lets her friends into her world, and her friendships change with her openness. It was a great picture of how friendship is built on the ability to trust and accept each other. 3. Annabelle’s family – Annabelle has issues with pretty much every member of her family, but she doesn’t know how to talk to them or express her feelings. Part of her character development in the story is learning not only how to let her friends in but to reach out to her parents and siblings as well. Yes, the house needs to be cleaned up, but so does the family. I really liked how there was a bigger picture there. 4. Annabelle’s acceptance of herself – Annabelle’s very focused on the fact that she is fine just the way she is and it’s everyone else who is broken. It’s not unusual for people to feel this way, and yet I appreciates that there was a theme in the book of accepting your faults and learning to deal with them. 5. The crush – Alongside the heavier topics was a really sweet first crush. I liked how it was a nice side story and didn’t add to the drama going on in Annabelle’s life. I really enjoyed FAMILY GAME NIGHT AND OTHER CATASTROPHES. Have you read it? What did you think?